Posted on Wednesday, April 16th, 2014 at 12:49 pm. Managing time is about spending time and effort in doing tasks that are the most important to you. Participate in Time Management Training Course from pdtraining in Charlotte, Chicago to learn the tools and techniques to manage time and accomplish tasks. There are various tasks we must do every day, including caring for ourselves, our home, and our family. There are some tasks that we must do occasionally, such as calling the bank, visiting people, listening to the news, etc. For time management to give beneficial results, it is crucial to prioritize right. You need to determine what holds the most value in your life. When prioritizing, include all areas of your life and not only your work. Think about what will hold the same value for you after years. When prioritizing, think about your long-term goals and dreams. Include the people whom you would want to be with when you achieve your goals. Every person has different limitations and different strengths. For you to manage your time efficiently, you need to use your strengths and slowly overcome your limitations. For example, if you are persistent, but not a hard worker, you may choose tasks that require persistence, and then work on adding a little more time to work over a period of time. Managing time is not the same as working harder. You do not need to put in more hours in a day, you only have to choose when to do what and to remove distractions. When creating goals and determining the time you will spend on them, be realistic. Plan tasks that you think you will be able to handle in the long run without negative side effects such as bad health, financial loss, unpleasantness in family life, etc. For effective time management, you also need to develop the habit of keeping things organized. Using a calendar to mark tasks to be done, uncluttering your workspace from time to time, creating rituals are methods to manage time properly. Many of us understand that we need to manage our time, we even plan extensively on how we are going to do it, but at the end we fail to act on it. 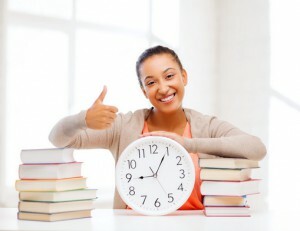 It is a good idea to include the time from when you will be implementing time management in your time management plan. That will help you to get started on managing your time better and leading a fulfilling life.